The lineup for Brooklyn’s 2015 Afropunk Festival was already pretty great, and now it got even better. 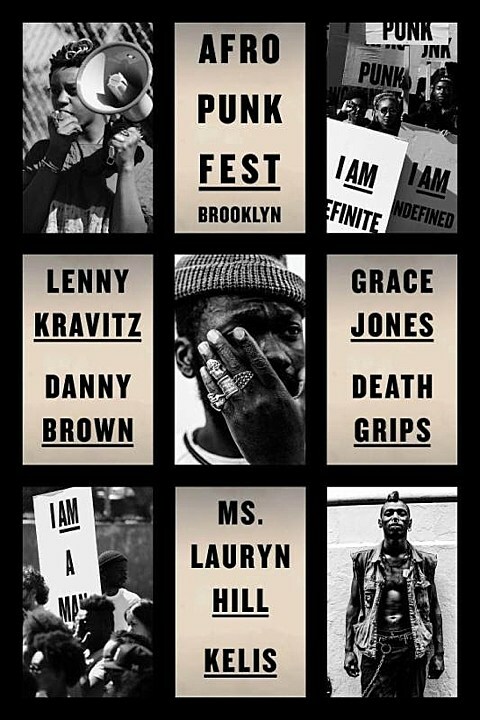 Death Grips, Gary Clark Jr., Kelela, Jessie Boykins III, SZA, Candiria and more were added to the festival, which already included Lenny Kravitz, Grace Jones, Lauryn Hill, Kelis, Danny Brown, Suicidal Tendencies, Kele, Thundercat and more. Afropunk also continues to branch out. They did an Afropunk Paris festival this past May, and will do so again in June 2016, and they’re also putting on the inaugural Afropunk Atlanta on October 3 & 4 in the city’s Central Park. The lineup for that includes D’Angelo and the Vanguard, Flying Lotus, Santigold, Death Grips, Tyler the Creator, Public Enemy and more. Tickets go on sale Wednesday (7/8). Speaking of Death Grips, they play NYC twice this week (supposedly, at least).